As the following two magazine excerpts show, builders are urged to share their project completions. This is a great way to show the aviation world what you have accomplished, while giving you an opportunity to publicly thank those who helped you along the way. (Above is from Kitplanes magazine; below is EAA's Sport Pilot magazine, both June 2009 issues). This Saturday is our second "Spring into Summer" Builder Fly-In Gathering and Open Hangar Day. As opposed to our annual fall Open Hangar Day with scheduled workshops and forums, this June event is very informal and unstructured. The next two weeks have been dedicated to the 801 and the panel for the 750. Here are a few video clips from last year's Zenith Aircraft Open Hangar Day. 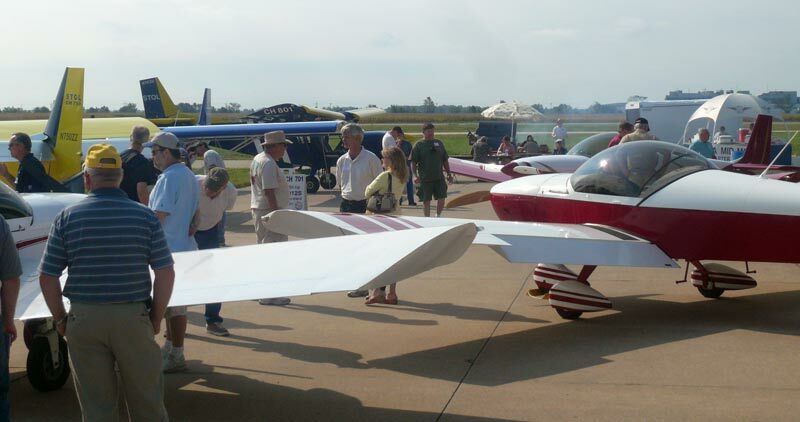 This year's spring event is on June 27, 2009, and the fall 18th annual Zenith Aircraft Open Hangar Day is September 19, 2009. I have a complete blog about this project (and my other projects) at my personal web site. trip on an Island in Georgian Bay. Pulled out the airplane from the hanger to take a few baby pictures. I had set off for a day of pattern practice in the hopes of smoothing out my take-offs and landings in the Zenith. The events of the day proved I needed the practice and I learned something about the Zenith 601 XL in the process. The wings have returned and are now installed. Around the patch. Cessnock to Gennedah for the perverbial $100 hamburger!!! Here in Australia we celebrated the Queen’s birthday (we're still part of the colony) with a long weekend (6, 7, 8 June), and after experiencing 4 weeks of terrible weather, it was too good an opportunity to not go flying.